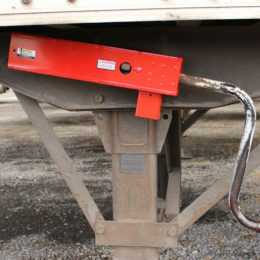 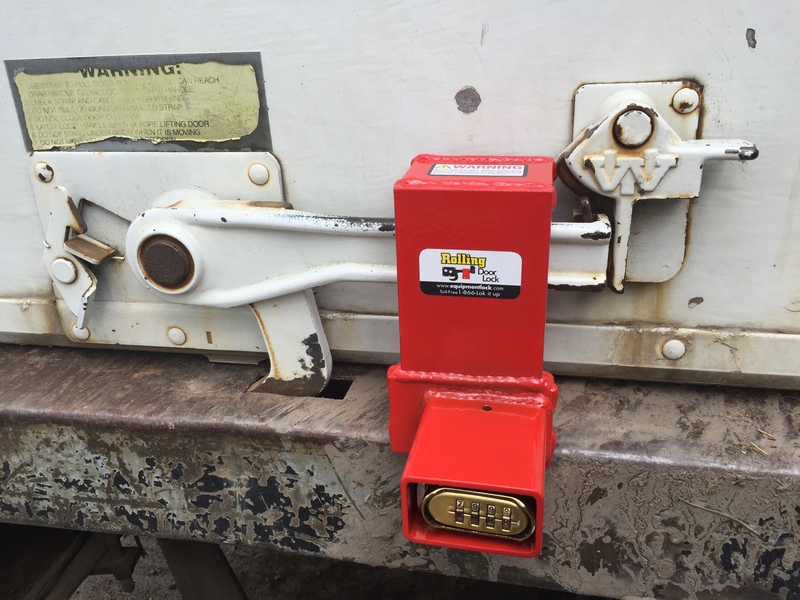 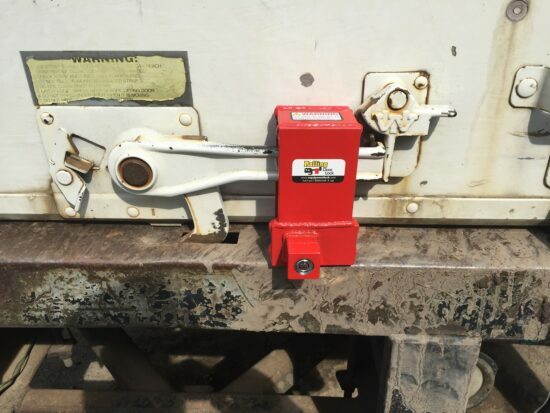 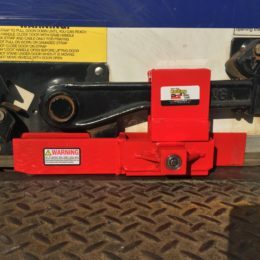 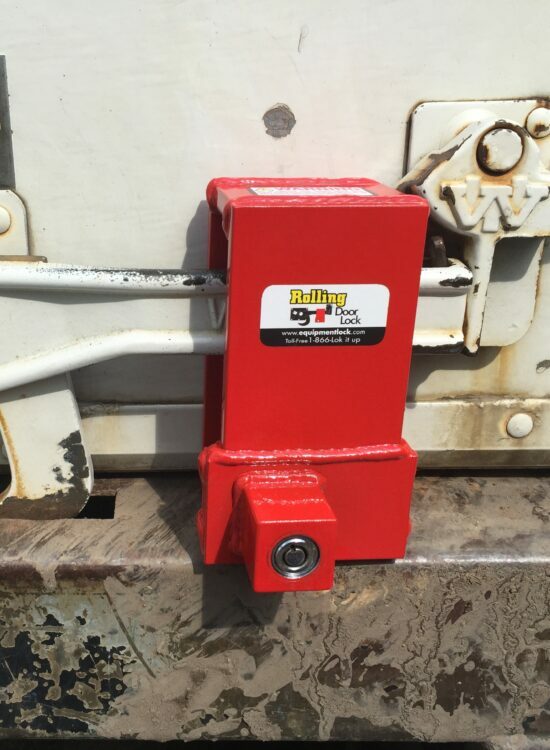 Secure your cargo with the Rolling Door Lock. 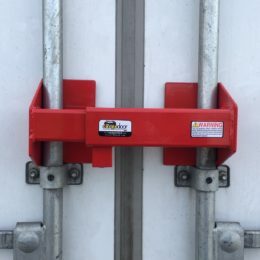 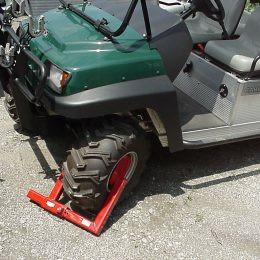 It locks the handle of a roll up door in the down position with no mounting required. 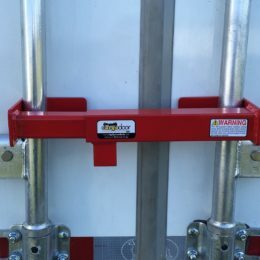 -It fits all Whiting® and TODCO® door hardware.